During the CPPCC, the primary mouthpieces for this ideological campaign were the state-sanctioned religious organizations of the PRC. These organizations operate under the cognizance of the PRC National Religious Affairs Administration (Guojia Zongjiao Shiwuju, 国家宗教事务局)—which was itself subsumed into the UFWD in spring 2018 (China Brief, April 24 2018). Xu accused “anti-China forces in the West” of “trying to influence China’s social stability and even subvert China’s political power through the use of Christianity.” In light of this, Xu called for “continuous elimination of foreign imprints on China’s Christian churches,” and for China’s Christians to “continuously carry forward and practice the core values of socialism” (Taiwan Central News Agency, March 12; Hong Kong Free Press, March 13). The ongoing campaign for “Sinicization” of religious practice has motivations that flow from CCP suspicions of three religious traditions in particular, all of which have been subject to renewed campaigns of repression over the past year: Lamaist Buddhism, suspect as an element of Tibetan and Mongolian cultural identity (China Brief, July 10 2018; China Brief, March 5; HRW, March 20); unregistered Christian churches, and heterodox Christian offshoot sects such as “The Church of Almighty God,” which are viewed as potential sources of social unrest (SCMP, September 10 2018; China Brief, February 1); and Islam, which is subject to increasing repression as a suspected motivator for ethnic nationalism and “extremism” in Xinjiang (China Brief, July 25 2018; China Brief, March 5). However, the coordinated propaganda showcased at the CPPCC is also part and parcel of a broader drive over the course of the past year to reinforce the CCP’s control over all aspects of Chinese life: to include not only religious faith, but also culture (China Brief, March 5) and public discourse (Apple Daily (HK), May 14 2018). Additionally, the propaganda themes featured at the CPPCC must be understood against the backdrop of evident CCP concerns for the direction of the country, and attendant prospects for social unrest (China Brief, March 22; China Brief, March 22). 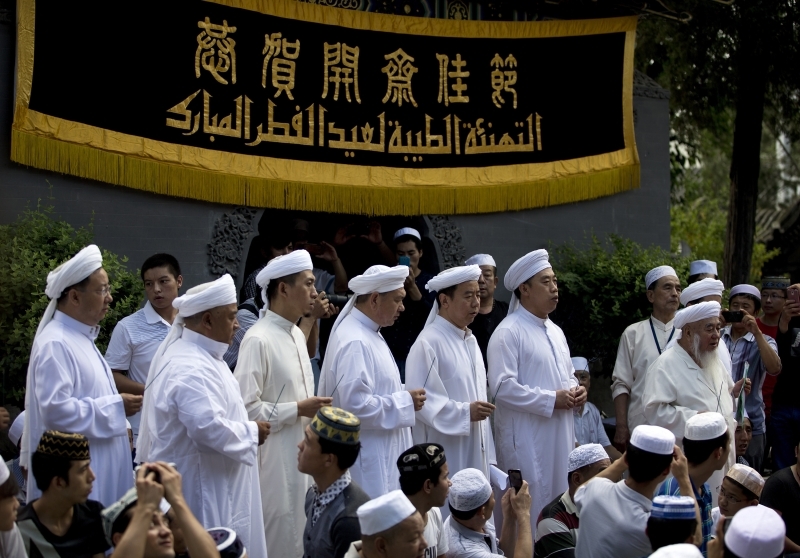 As long as the senior leadership circles of the CCP harbor anxieties about the security of their ruling status, the campaign for “Sinicization” of religion—as well as other aspects of civic life—is likely to continue.